We found that passing information from engagement activities around within an organisation (such as writing reports) almost always involves a great number of choices about what to include, exclude, summarise, combine and filter. This tool helps people open up these decisions to colleagues, managers and anyone else they work with by inviting others into a discussion about what is most important. 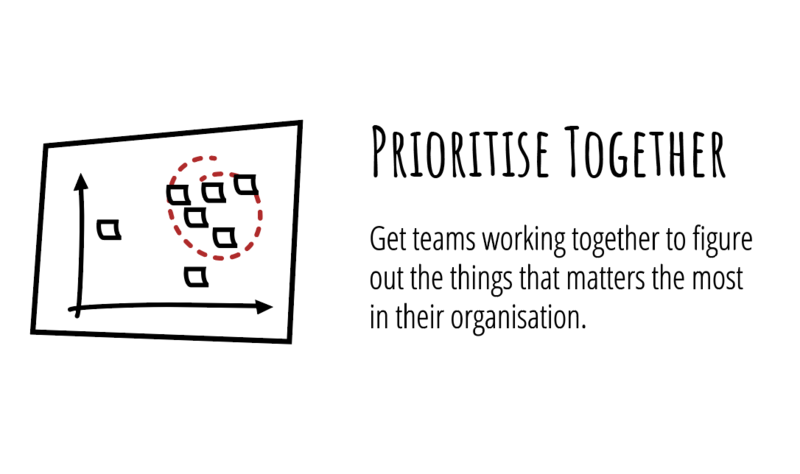 Choose some dimensions for mapping and draw these out at scale on a large piece of paper or whiteboard, then map out stories, comments, quotes or anything else that needs to be prioritised.